1.Fire up your barbecue, grill pan or skillet on medium heat. 2.Place cheese slices and buns on the grill. 3.Brush mushrooms on both sides with olive oil, season to taste and place on the grill. 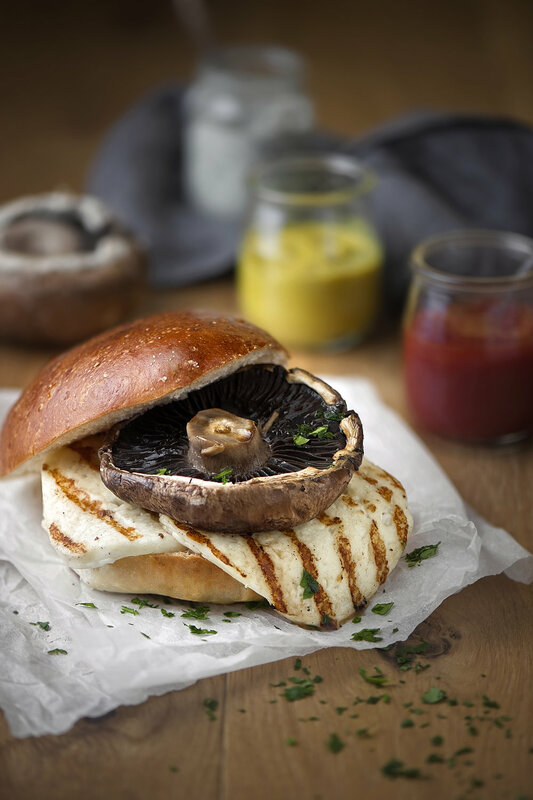 4.Cook cheese slices, buns and mushrooms each side for 3-4 minutes, so they are evenly grilled on both sides. 5.Stack the cheese and mushroom on the bun, using 1-2 slices per burger. Serve with the condiments of your choice and some chopped parsley if desired. 1.Fire up your barbecue, grill pan or skillet on high heat. Grill cheese slices for 1-2 minutes each side. 2.Meanwhile, mix the avocado with the lime juice, sugar, chili pepper flakes, salt and pepper. 4.Spread a scoop of avocado mix on each slice of toast, top with grilled cheese slices and cherry tomatoes. Serve immediately. 2.Place cheese slices and split buns on the grill. 3.Cook cheese and buns 3-4 minutes on each side. 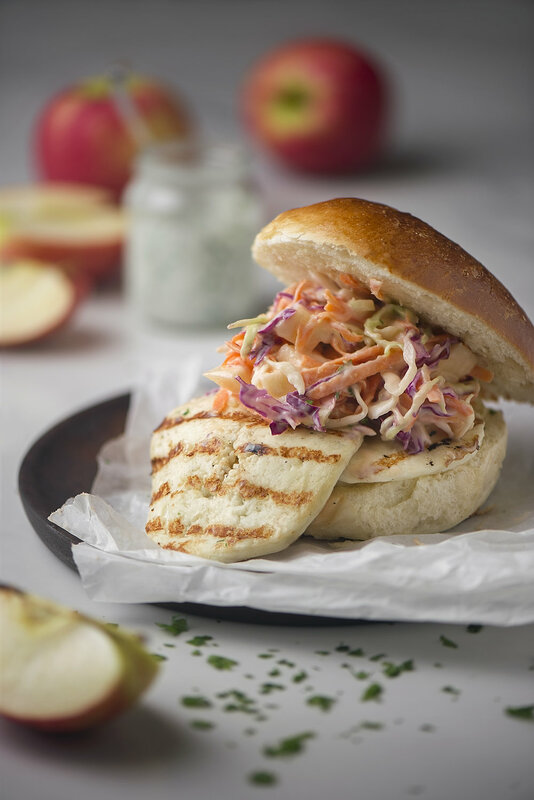 4.To make the slaw: In a bowl place white cabbage, red cabbage, grated carrot, apple, mayonnaise, vinegar, sugar, salt and pepper. Mix well until combined. 5.Place 1-2 slices of cheese on the bun. Top each cheese with a generous portion of slaw. Serve immediately.